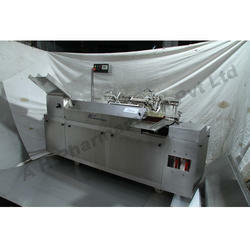 Pioneers in the industry, we offer automatic two head ampoule filling and sealing machine, automatic single head ampoule filling and sealing machine, automatic four head ampoule filling and sealing machine and eight head ampoule filling and sealing machine from India. Power characteristic 220 volts or 415 volts, 3 phase, 4 wire system, 50 cycles/sec. 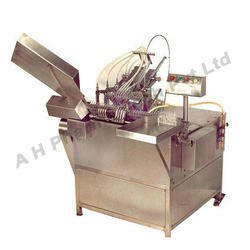 We are committed to providing the best quality Automatic Two Head Ampoule Filling and Sealing Machine. 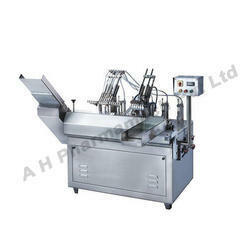 Our firm is enlisted as one of the renowned names in offering high quality Automatic Single Head Ampoule Filling and Sealing Machine. 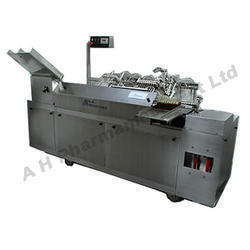 Our enterprise has gained immense recognition in offering optimum quality Automatic Four Head Ampoule Filling and Sealing Machine. Electrical Rating: 1 h. P.